There were mixed forecasts for India’s growth in reports issued by Fitch and Moody’s. While one showed a continuous decline the other one appeared stable. There is a proposal to liberalise foreign direct investment in foreign portfolio investments. 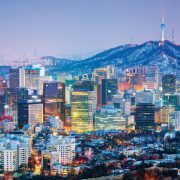 India and South Korea came together to create a startup hub. 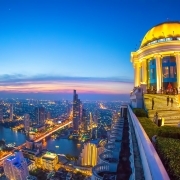 Fitch Cuts India Growth Forecast – Fitch Ratings recently released its Global Economic Outlook – March 2019 report, which had a section on India. The report stated India’s GDP growth softened for the second consecutive quarter in 4Q18, with the economy growing by 6.6% yoy after increases of 7% and 8% in 3Q18 and 2Q18, respectively. The slowdown has been driven by cooling activity growth in the manufacturing sector and, to a lesser extent, agriculture. Weaker momentum has been mainly domestically driven. First, credit availability has tightened up in areas heavily dependent on non-bank financial company (NBFC) credit, such as autos and two-wheelers, where sales have dropped. Second, food inflation has been muted and fell into negative territory late last year, weighing on farmers’ incomes. The report further stated that while Fitch has cut its growth forecasts for the next fiscal year (FY20, ending in March 2020) on weaker-than-expected momentum, it projected that Indian GDP growth to hold up reasonably well, at 6.8%, followed by 7.1% in FY21. 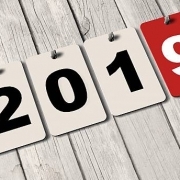 This March report lowers India’s growth rate forecast by Fitch in its report in December 2018, as reported by Asia Law Portal. Moody’s Retains Growth Forecast – Indian economy is expected to grow at 7.3 per cent in calendar year 2019 and 2020, and the government spending announced ahead of elections this year which will support near-term growth, Moody’s recently said in its quarterly Global Macro Outlook for 2019 and 2020. The country is less exposed to a slowdown in global manufacturing trade growth than other major Asian economies and emerging markets and is poised to grow at a relatively stable pace in the two years. Moody’s growth estimates is based on calendar year. 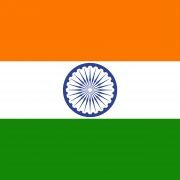 India, however, measures its economic growth on the basis of fiscal year (April-March). In 2018-19 fiscal, ending March 2019, Indian economy is estimated to have grown 7 per cent, lower than 7.2 per cent in 2017-18. Moody’s said the announcement in India’s interim budget 2019-20 on direct cash transfer programme for farmers and the middle-class tax relief measures will contribute a fiscal stimulus of about 0.45 per cent of GDP. This recent growth forecast retains the earlier one in November 2018, as reported by Asia Law Portal. Estimated Liberalisation of FPI – A Securities and Exchange Board of India (Sebi) panel headed by former Reserve Bank of India deputy governor HR Khan is set to recommend liberalisation of investment caps for foreign portfolio investors (FPI). At present, foreigners can own up to 24 per cent in a listed Indian company with any further increase requiring approval from the firm’s board. The panel is considering to propose removal of the 24 per cent restriction and making the different sectoral caps under foreign direct investment (FDI) rules as the new ceiling. This will give companies room to raise money from foreign investors while improving India’s weightage on the MSCI Index. The committee is expected to submit its recommendations to Sebi in April. The panel is also likely to propose harmonisation of rules for FPI and FDI when it comes to usage of funds. Existing rules don’t allow investors to use FPI money for FDI investments. Every time an investor makes an FDI investment, he has to get money from abroad. Several big investors have asked regulators to allow them to use existing FPI money for FDI investments. The panel will also propose a fast track registration process for certain types of foreign investors. There would be reduced documentation for FPIs that are already regulated and those that come from FATF jurisdictions. FPIs coming in through global custodian banks will also be given easier access. The panel is likely to propose several changes to the FPI regulations. It would also propose uniform know your customer (KYC) guidelines for FPI, FDI and FVCI (foreign venture capital investors). India Korea Startup Hub – India Korea Business Symposium was hosted by Invest India and Korean Chamber of Commerce and Industry (KCCI) in Seoul reently. The Symposium was organized to felicitate the Korean business community on their success in India and to present more opportunities for Korean business in India. Prime Minister of India, Narendra Modi, addressed the business gathering on the way ahead to further strengthen bilateral ties between India and the Republic of Korea. Over 400 Korean business leaders were present on this occasion. To further strengthen the bilateral ties between India and Republic of Korea, Prime Minister, Narendra Modi, launched the India-Korea Startup Hub and Startup Grand Challenge. The Hub is hosted on the Startup India digital platform, the world’s largest virtual incubator with over 300,000 registered startups and aspiring entrepreneurs. The Hub will enable access to resources for market entry and innovation exchange between India and the world. The Startup Grand Challenge, on the India-Korea Startup Hub, will channelize the entrepreneurial capacity between Indian and Korean Startups to work together and build solutions for the challenges facing the world. 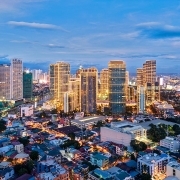 Known as the “pearl of the orient” during Spanish rule, the City of Manila withstood many natural disasters, colonial occupations and war, is now a thriving metropolis. While it may still be a stopover for most tourists before heading to the islands, Manila has become a destination of choice for expats. It is a center of economic growth with a steady and increasing influx of foreign investment. It is also a densely populated city of contrasts. This huge city can be chaotic and confusing for first time visitors. Here is a quick guide to help lawyers and legal professionals effectively navigate Manila during their visits. Getting around Manila is easy. You have the option to rent a car, hire a taxi or take a bus, jeepney, LRT or MRT. However, for a visitor who’s not acquainted with the city, a taxi is the most convenient way of getting around. You can also book a cab through the Grab app. Grab booths are available at the airport as well. So if you don’t have access to Wifi or internet on arrival at the airport, you still can easily book a ride with Grab. UBE Express Bus is another convenient way of getting to the hotel from the airport. It’s an air-conditioned bus service with designated stops along several routes. You can either buy tickets at the airport kiosks or through the UBE Express booking website. Rent a Pocket Wifi Device: You can rent a pocket wifi device for uninterrupted wifi access from Konbini Rentals or GoLocal. They either deliver the wifi device to your hotel a day before you arrive or offer pickup and drop off at the airport. The City of Makati, which is the country’s financial as well as cultural and entertainment hub, is one of the best areas to stay in Manila. You’ll find here a wide range of accommodations to suit all budgets. It also offers easy access to shopping malls and markets and plenty of restaurants — all at walking distance or within a short drive. If you are going to have a short stay, here’s a quick list of places you may want to check out. Integrated Bar of the Philippines: IBP is the official organization of lawyers in the Philippines. It was established as an official organization for the legal profession by Republic Act No. 6397. The law confirmed the constitutional power of the Philippine Supreme Court to adopt rules for the integration of the Philippine Bar. Consequently, Presidential Decree 181 constituted the IBP into a corporate body in 1973. You can find regional & comparative resources, case law & legislation, books & Journals and more legal resources on the Southeast Asian Legal Research Guide. 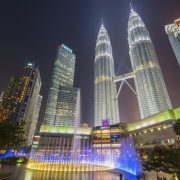 Asia Law Portal promotes legal events in the Asia-Pacific Region on our blog and widely followed social media channels. For more information please contact us. Follow Leaders in Law to get more news and updates on recent and upcoming legal events in the Asia-Pacific legal markets. Clients can find lawyers in the Philippines via Leaders in Law’s “Find a Lawyer” section, which contains listings of law firms practicing in the Asia-Pacific region, including the Philippines. King & Wood Mallesons has hired two partners in Hong Kong: Ashley Wong joins the firm as its local aviation head from Mayer Brown, while Wang Yu joins as a partner from Morrison & Foerster, where he was of counsel. Wong, has over 15 years of experience in aviation matters, advising airlines, leasing companies, maintenance and repair organisations and other market players on aircraft portfolio acquisitions and disposals, pre-delivery payments financing, sale and lease-back arrangements, acquisitions and disposals of new and used aircraft and engines, dry leasing and wet leasing of aircraft, long-term airframe and engine maintenance arrangements and other commercial arrangements. Wang has more than 10 years of experience advising on securities offerings, private equity and other corporate transactions. He represents corporate clients, investment banks and private equity funds on transactional matters including capital markets, private equity and financial derivative products. Wong and Wang join KWM a couple of months after the firm hired Ling Huang as a partner in its Beijing office. 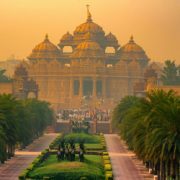 New Delhi-based APT Legal, will be opening new offices in Mumbai, Jaipur, Allahabad (Prayagraj) and Patna. Having started out as Chamber Practice, APT Legal has been representing clients both in the private sector and public sector, pan-India. The firm handles litigations before the Supreme Court, high courts and appellate tribunals. The firm’s partners focus on practices including mining and metal, arbitration, civil, corporate, and commercial laws. It also advises on insolvency and bankruptcy, white collar crime, competition, energy, environment and forest laws and telecom regulations, among others. APT Legal’s Delhi office has two partners supported by 10 Associates while the Mumbai, Jaipur, Allahabad and Patna offices will be led each by a partner along with three associates. Clifford Chance, has launched a new innovation lab in Singapore, named Create+65, to identify, incubate, test and pilot new legal technology solutions. Create+65 was designed to bring together venture capitalists, start-ups, product owners and developers, universities and private institutions with the goal of developing and testing new legal services tools and solutions. Subject to their position in the innovation cycle, participants that join Create+65 would have access to insights from the firm and its clients about technology solutions that target the delivery of legal services as well as feedback and mentoring, data sets and connection to potential investment and/or funding vehicles. Users would also have access to workspaces and gain the ability to partner with Clifford Chance to develop innovative legal technology solutions. he latest initiative is supported by the Singapore Economic Development Board (EDB) and in collaboration with Future Law Innovation Programme (FLIP) by the Singapore Academy of Law (SAL). Teresa Cheng – Secretary for Justice, Hong Kong – In a November, 2018 article, Anna Zhang reported that Hong Kong is making a big push to become the dominant Asia-Pacific locale for cross-border dispute resolution and international arbitration. “Arbitration lawyers say [Cheng’s] knowledge and expertise on the nuts and bolts of international arbitration will be an asset to Hong Kong and its efforts in building itself up as the region’s top dispute resolution destination” — amid ferocious competition from other cities seeking to become Asia’s arbitration hub, including Singapore, Tokyo, Kuala Lumpur and Seoul, among others. Melissa Kaye Pang – President, Law Society of Hong Kong and Partner, Pang & Associates – As Elizabeth Beattie detailed in Asian Legal Business in November, 2018, the Hong Kong Law Society has proposed some new restrictions on foreign lawyers. Pang has explained the proposed rules “do not change the law but are merely clarifications.” Anna Zhang and John Kang detail the newly proposed rules and the objections to those rules by foreign lawyers in Law.com. Nozomu Tsunoda – Founder, LegalForce Inc. As Beaumont Enterprise detailed recently: “LegalForce Inc. was established in , and is led by 31-year-old lawyer Nozomu Tsunoda, who quit a leading law firm to go into business for himself. Even with only seven employees, Tokyo-based LegalForce checks contract documents such as a confidentiality agreement between companies.” The service is already being used by several Japanese corporations. John Kang – Business of Law Reporter, The Asian Lawyer/The American Lawyer – Based in Hong Kong, Kang covers the business of law in Asia and Australia. His coverage of the region’s legal markets is superb in its’ depth and insight. He’s a must-read for anyone seeking up-to date and highly informed insight into the region’s legal market. 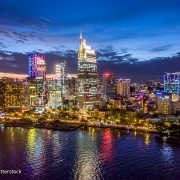 Elizabeth Beattie – Asian Legal Business – Beattie joined Asian Legal Business as a reporter in the fall of 2018 and her coverage immediately became essential reading for anyone interested in the business of law in the Asia-Pacific legal markets. Lesley Hobbs – Chief Executive Officer, Cognatio Law – Hobbs founded NewLaw firm Cognatio in early 2018. A veteran of NewLaw, Hobbs is very well placed to guide Cognatio to a successful future in the increasingly competitive Asia-Pacific region NewLaw marketplace. 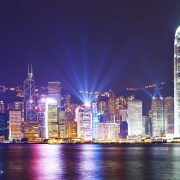 Kareena Teh– EY Litigation, Hong Kong – As John Kang detailed in early December 2018, Teh was part of a team recruited by EY to build out the Big4 firm’s disputes capability. In 2014, Eric Chin explained the competitive threat the Big4 accounting firms pose to BigLaw in Asia. This threat has expanded over time and the appointment of The is an example of the Big4’s drive to compete for one of the most lucrative areas of legal work in the Asia-Pacific region. Estefania Altuve – Head of Client Solutions, KorumLegal. A unique NewLaw story in the Asia-Pacific region, Korum was founded in 2015 in Hong Kong, and has quickly expanded not only in the Asia-Pacific region, but also into the EMEA region from a base in London. 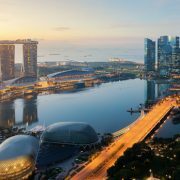 Most NewLaw firms have understandably focused on some of the major centers of corporate activity in Asia – Hong Kong, Singapore and Sydney. But as Altuve has explained, the firm has remotely served clients in Vietnam, Thailand, Indonesia, Malaysia, Japan and South Korea. The firm is also now in initial conversations about the possibility of opening offices in Australia and New Zealand. Yolanda Chan – General Manager, Asia-Pacific, Axiom Law – Asia’s pioneer NewLaw firm named Chan General Manager for Asia-Pacific in December, 2018. “Chan brings a strong managerial and technology background to her new role, with more than 20 years of APAC experience with industry-leading brands including Fitbit, Promethean, and Microsoft”, as the firm detailed in announcing Chan’s appointment. John Chisholm – Australia-based Chisholm is among the world’s most respected consultants to the legal profession on strategy and management, having previously served as Managing Partner and Chief Executive to two leading Australian law firms. In October 2018, Chisholm was inducted into The College of Law Practice Management, “which honors and recognizes distinguished law practice management professionals” throughout the world. Mathew Chako – Partner, Spice Route Legal – Mathew helped found the firm in 2016, which has offices in Mumbai, Bangalore, Delhi and Kochi and extensive affiliations across South East Asia, China, Japan, Europe and the Americas. As the firm details, it “is built on the idea that modern commerce respect neither jurisdictional boundaries nor traditional notions of compartmentalized competence”. The firm is, therefore, “cross-jurisdictional, multi-disciplinary and focused on providing effective, efficient and practical transactional, advisory and regulatory legal assistance”. Patrick Dransfield – Co-Director, In-House Community, which comprises over 20,000 in-house lawyers and compliance officers across Asia, the Middle East and Africa. A regular writer on the business of law, his writings are integral for anyone seeking a deeper understanding of the legal landscape in the Asia-Pacific region. Laurent Tam Nguyen – Vietnam-based, Nguyen has more than twenty-five years’ experience leading marketing and business development operations in b2b professional services, e-business and commercial property. His experience includes heading regional communications and marketing initiatives for leading ASEAN-region legal services organizations including ZICO Group and DFDL. In addition, he is General Manager & Founder of Digital Mekong. Sarah Mateljan – Australia-based Co-founder of legal startup LawCPD, which provides lawyers with the means to complete their mandatory continuing professional development requirements through online learning. Rika Beppu – Founding member and chair of Women in Law Japan and Partner, Squire Patton Boggs – As Vantage Asia details in an article in July, 2018: “Rika Beppu has more than 20 years’ experience advising on corporate M&A, joint ventures and commercial projects in London, Hong Kong and Tokyo, most recently with Squire Patton Boggs. But in addition to her legal expertise is her strong commitment to gender equality in her position as founding member and chair of Women in Law Japan.” “Now in its third year, we have more than 300 members and supporters who gather for events five times a year. The most exciting development this year is the launch of a mentoring programme across the legal profession in Tokyo,” As Beppu explains. Dion Cusack, President, Australasian Law Practice Management Association (ALPMA) – The Melbourne-based senior law practice management professional recently became leader of one of Australia’s most important legal services sector management organizations. In recent years ALPMA has expanded its’ reach to host an annual APAC region law practice management forum in Singapore. Rohan Mahajan, Founder, LawRato.com. Founded in 2013, the New Delhi-based company provides “an interactive online platform that makes it faster and easier to find and hire the best Lawyers in any city/court in India”. Kanmani Gobal, Business Development Manager, Lee Hishammuddin Allen & Gledhill (LHAG) – Kuala Lumpur-based Gobal joined elite Malaysian law firm LHAG after helping the Asian International Arbitration Centre (AIAC) complete a major re-brand from its previous identity: the Kuala Lumpur Regional Centre for Arbitration. Gobal’s experience now spans both work to help a regional arbitration centre and a local elite firm gain competitive advantage amid unique competitive legal environments. Daniel Himpson, Head of Business Development, Asia-Pacific, Lex Mundi. In July, 2018, Shanghai-based Himpson was selected to lead strategy and business development for elite global legal alliance LexMundi in the Asia-Pacific region. David Eyerly, Communications and Business Development Director, SSEK Legal Consultants. Jakarta-based Eyerly, a long-time professional writer and editor, has helped position SSEK as one of the most well-recognized law firms in Indonesia through, among a range of efforts, the firms superb Indonesia Law Blog and social media presence. This provides SSEK with a decided advantage in Indonesia as against existing domestic and potential foreign competitors in a market which in 2014 Hong Kong-based legal services management consultant Nick Seddon called “the most significant regional opportunity for foreign law firms”.